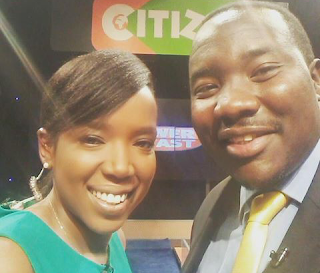 Willis Raburu is among the top news anchors in Kenya. His breakfast show is the most watched breakfast show according to the latest statistics. Kirigo Ng’arua too is a force to reckon with in the media fraternity. She is super talent and very professional in whatever she does. Citizen TV is with no doubt the most watched TV station in Kenya and Willis Raburu and Kirigo Ng’arua built a good relationship as co-workers in the giant media house. Don’t take your thoughts too far. The two are just good friends who mostly have a good time when they are not on air. 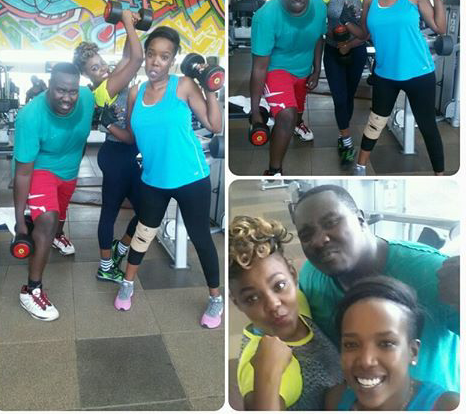 Recently, the duo decided to hit the gym together as they had fun, though Willis Raburu was so sweaty and I guess it’s because he was seriously working out. I hope Kirigo wasn’t the cause.